For you to stay connected, a wifi access is available (with supplement). The campsite Kersentic is ideally located to enjoy nature: dune, islands, hiking trails, nature is a real haven where activities abound. Fishing lovers will find their happiness whether on the line, on foot or at sea there is something for everyone! Mobile home 3 rooms for 4 persons of 32m ² approximately, composed of a corner living room, a corner cooks equipped, a room with a bed doubles (140x190), a room with 2 beds simple (80x190), d a shower room, separate WC and a terrace. 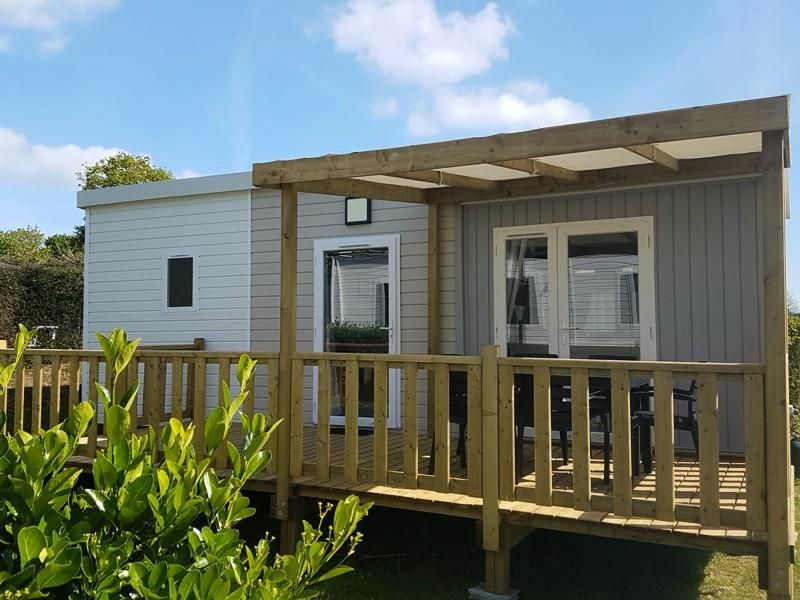 The Mobil Home includes a kitchenette equipped with 4-burner gas hob, refrigerator, microwave, cooking utensils and crockery adapted to the number of people in the housing. Pillows and duvets / blankets are provided for each bedding (optional sheets).